How would the world be different if creditors were required to release the debt of individuals every seven years? This actually happened in the Old Testament of the Bible as you can see from the verses above. God required the Hebrew people to release the debts of the poor every seven years. That’s right…if they still owed money at the seven-year interval, their debt was cancelled. Sign me up for that program! If this seems like an odd thing, consider God has always had a special place in his heart for the poor. There are many verses in the Bible related to the proper treatment of those less fortunate. I see this as God’s way of giving them a fresh start and squashing any potential exploitation of the poor at the hands of the wealthy to carry on indefinitely. Whatever the reason it’s clear God did not want his people staying in a perpetual state of debt. I’ve often wondered how this practice impacted their feelings about borrowing and lending. From a borrowers perspective, one would think this allowed it to be open season to shrug off your debts. I mean if they are just going to be expunged after seven years, why worry about paying it completely off? I’d be tempted to pay only the minimums and let the principal ride. If I did that and it became apparent I had no intention of paying off my loan, it would probably damage my reputation in the culture, the ancient equivalent of getting your credit score dinged. With my reputation stained, I would probably never have another shot at getting a loan. My questionable character would be too big a risk. In this environment, it would seem creditors would be less likely to extend money to borrowers. I’m sure the screening process to get a loan would be more stringent. The standards of qualification would be higher to make sure people truly had the means to pay the loan back. Creditors would take on less risk, especially the closer you came to that seventh year. Loans in the sixth year would most likely be very small. In a world where credit is less available, people have to get by in other ways. They have to decrease spending and save for purchases instead of having things right away – something we in the personal finance world call delayed gratification. Some have to take on a second job to earn more money. People also end up relying on family or friends more in a time of need instead of seeking loans from the banks. I’m sure this type of forgiveness program will never be a part of our culture. Both sides love loans too much – borrowers because of the instant access to goods and services loans grant – creditors because of the money they make in interest off the loan. It would certainly change how we viewed the process of borrowing and lending. How do you think borrowing and lending would change if this seven-year forgiveness plan existed today? Would you borrow more or less? What perspective do you think lenders would have? 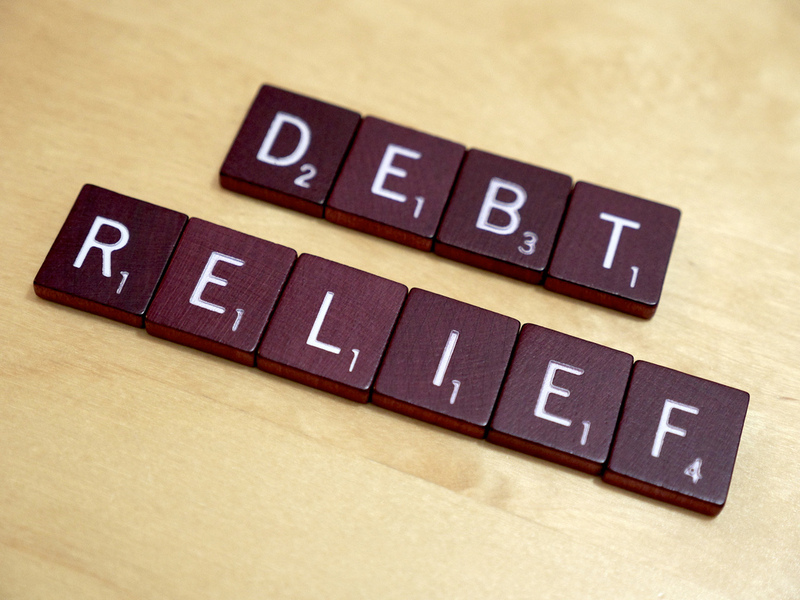 Have you ever had a debt completely cancelled? LOVE this post. I don’t know that people would abuse their credit quite as much because of the reasons Debt Debs outlines above. I do know that the consequences could be a lot more serious than they are today when creditors came knocking. I imagine loan terms were not always as long as seven years and that smart creditors wouldn’t wait that long to collect. The parable of the Unforgiving Debtor comes to mind. Then again, we’re talking about centuries between Deuteronomy and Matthew. Thanks Femme. My guess is considering the culture and the 7 year law that was established, there probably wasn’t that much debt that was forgiven. Creditors probably didn’t extend large loan amounts that couldn’t be repaid and borrowers repaid or risked damaging their character. I like that story of the unforgiving debtor…teachers a great lesson about forgiveness. I imagine the environment was very different back then to what it is today. It would have been very dishonourable to renege on a loan so no one would have only been done in extreme circumstances of hardship. This would not work in today’s world, because there are many cases of self-inflicted hardship. If there was a seven year forgiveness, people would abuse their credit even more. Interesting to contrast then and now. I tend to agree they would abuse their credit, I just don’t think there would be as much available. I would say that defaulting on your loan would equate to much more than just getting your credit score dinged. Honesty and keeping your word and covenants was a much bigger deal back then (as was fidelity in marriage and other important principles). It definitely wouldn’t work with society today where very few people feel their word really is their bond and where dishonesty is rampant. It’s fun to compare though. Thanks for sharing your thoughts! We did have a loan forgiven once, and it was such a strange thing to comtemplate. 20+ years ago we needed a new car. Baby #3 was on his way, and I drove a small compact car. We mentioned in passing to my in-laws what we were shopping for, and a week or so later they asked about loaning us the money. This was when interest on CD’s was very minimal, so we agreed on an interest rate that would have been less than a bank would have charged us but a little more than my father-in-law was earning – it seemed like a win/win for both sides. About 5 or 6 months into the repayment Earl called one night and told us we owed him no more – he was giving us the rest of the owed money as a gift. It was a complete shock; I was going to be paying bills a few days later and tried to pay that month’s amount, but he refused it. We ended up driving that minivan into the ground, putting nearly 200,000 miles on it. But I never started it without thinking of my in-laws and what they did for us. What an incredible blessing Karen and an awesome example of generosity. I can tell it meant a great deal to you…something you will never forget. Thanks for sharing that story. I think people would take advantage of it, and maybe not learn the real lesson. I also do think it would be hard for everyone to get a loan. I mean why should they trust me? I think you are right on both counts. From a borrower’s perspective, it seems as though at some point it comes down to a matter of character. Are you going to honor your commitment/obligation to pay off what you borrowed? It really becomes an integrity issue.